Ezra Miller is quickly becoming one of the biggest stars in Hollywood. Not only is he about to star as The Flash in Justice League, but he's also part of the Fantastic Beasts and Where to Find Them franchise as well, meaning he's associated with two of the biggest entertainment brands on the planet; DC and Harry Potter. However, at one point, the actor, who came out as queer publically in 2012, was told it was a mistake and would hurt his career. Here's what he had to say about it in a recent interview. "This is an interesting thing to talk about. I was told by a lot of people I'd made a mistake. I won't specify. Folks in the industry, folks outside the industry. People I've never spoken to. They said there's a reason so many gay, queer, gender-fluid people in Hollywood conceal their sexual identity, or their gender identity in their public image. I was told I had done a 'silly' thing in thwarting my own potential to be a leading man...I was given a lot of stern talking-tos." It's certainly true that many people in Hollywood have kept their sexuality a secret over the years in order to preserve their career. But times are changing and people are clearly becoming much more willing to accept the LGBTQ community. Case in point, Ezra Miller is now part of two of the biggest franchises on the planet. The actor first came out in 2012 during an interview for his movie, The Perks of Being a Wallflower and seemed to have no issue revealing that at the time. "I'm queer. I have a lot of really wonderful friends who are of very different sexes and genders. I am very much in love with no one in particular. I've been trying to figure out relationships, you know? I don't know if it's responsible for kids of my age to be so aggressively pursuing monogamous binds, because I don't think we're ready for them." Despite Ezra Miller's comfortability with it, others felt he'd made the wrong choice in coming out. However, Miller feels he ultimately made the right decision. Though he had moments of doubt, he is confident and wants to help be a model for positive change moving forward. "'You've made a mistake' is such a hard thing to hear. Maybe if I'd actually made a serious mistake? But not for this. I didn't think I'd done anything wrong, though there have been moments of doubt as a result of those conversations. But what they said was, in fact, 'rubbish', as you might say. We are the ones. It's up to us to manifest the world we want to exist in." Many actors, regardless of their sexual orientation, would kill to be a part of just one franchise as big as Fantastic Beasts or the DCEU. Let alone both. And those movies are sure to open up plenty more opportunities for him. 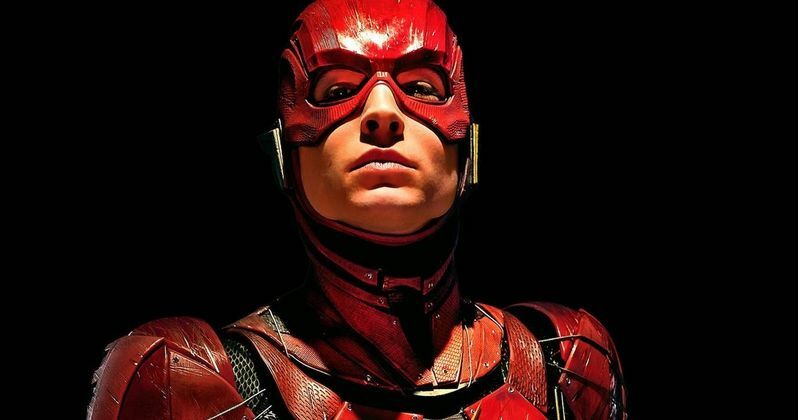 Ezra Miller is set to play The Flash yet again in the standalone Flashpoint movie, though insiders at Warner Bros. have warned that the movie may not happen if Justice League doesn't clean up at the box office. You can read the more of the interview with Ezra Miller over at Shortlist.